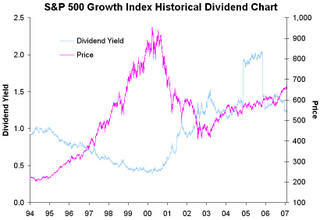 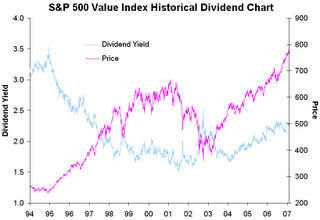 For our next Charts and Tables post, we highlight the historical dividend yields of key US equity indices. 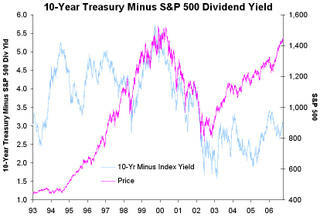 We also point out the historical spread between the 10-Year Treasury Note and the S&P 500 dividend yield as well as the spread between the S&P 500 Value and Growth indices. 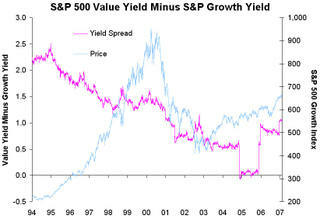 Feel free to analyze the charts in the comments section below. 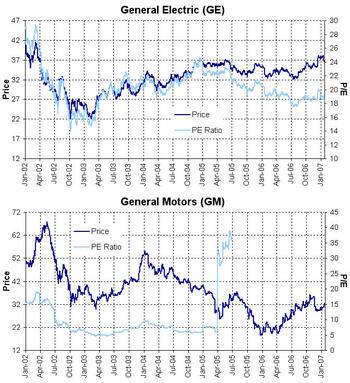 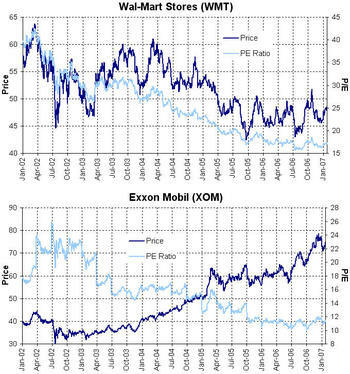 Below are historical price vs P/E charts of PG, T, UTX, VZ, WMT and XOM. 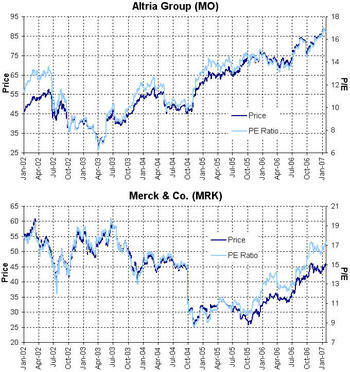 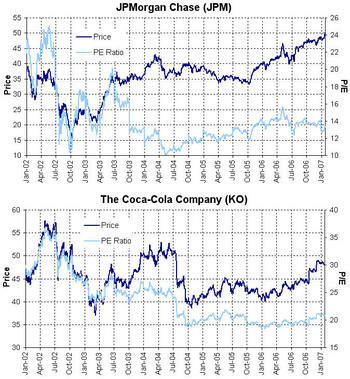 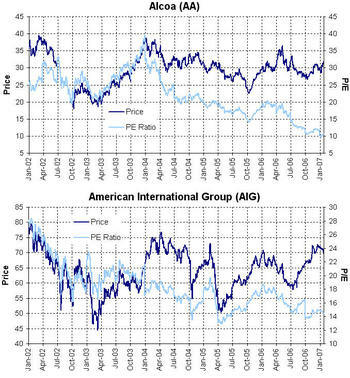 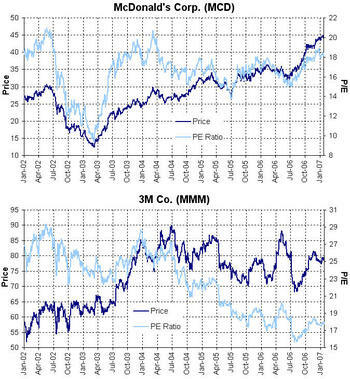 Below are historical price vs P/E charts of MCD, MMM, MO, MRK, MSFT and PFE. 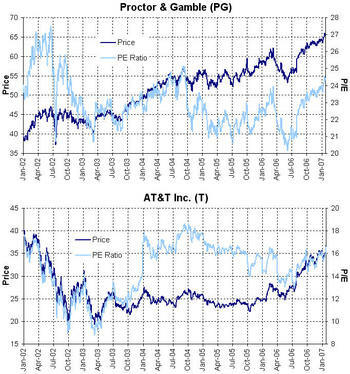 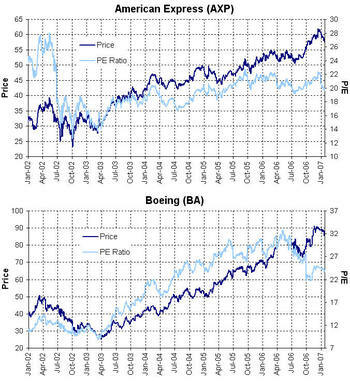 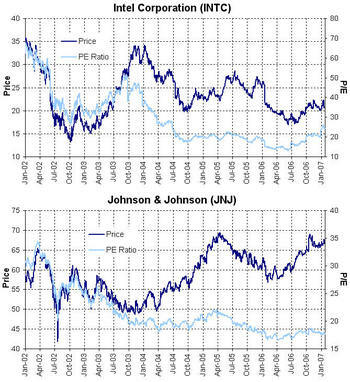 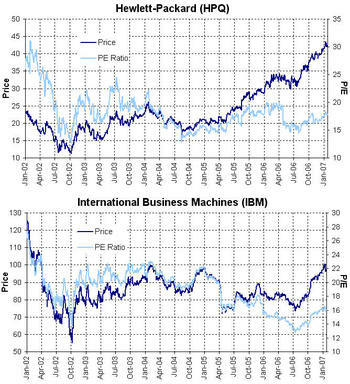 Below are historical P/E charts for HPQ, IBM, INTC, JNJ, JPM and KO. 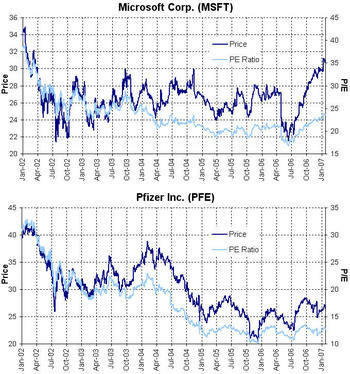 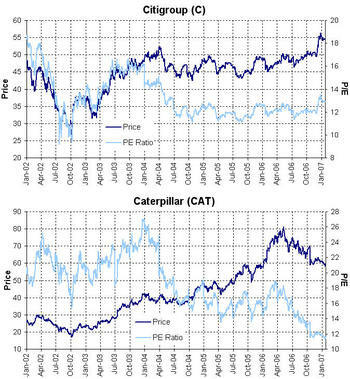 Below are six more historical P/E charts. 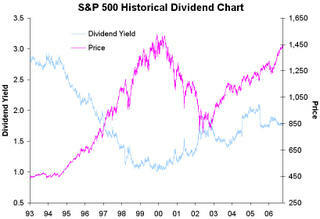 Those included are DD, DIS, GE, GM, HD and HON. 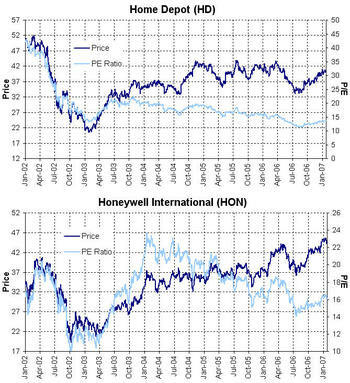 We just created a new category on Ticker Sense titled Charts and Tables in which we'll provide somewhat hard-to-find historical market information. 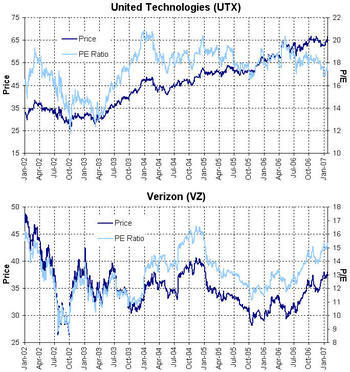 We realize it is sometimes difficult for individual investors to access historical market info, so that is what we'll try to do. 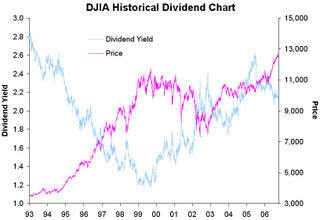 For our first Charts and Tables post, we'll look at historical P/E charts of the individual DJIA members. 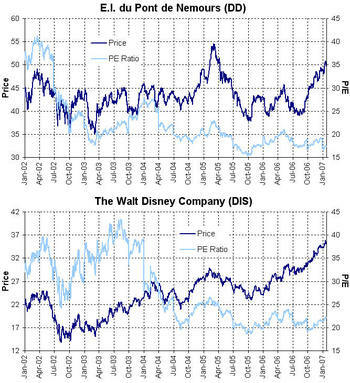 The first six stocks sorted alphabetically are shown below.